Alibaba owns the online e-commerce world in China, replete with payment solutions, online merchandise, and logistics. And now the company is aiming at the offline world of Chinese supermarkets. Alibaba and the Internet fresh food platform Yiguo signed an equity transfer contract, under which Alibaba will purchase 18% shares of Lianhua Supermarket from Yiguo. According to a report published by Bailian Group, Alibaba will gain 201,528,000 Lianhua domestic shares, making it the second largest shareholder of Lianhua. Meanwhile, Yiguo will still hold a 1.17% stake in Lianhua. Lianhua Supermarket is a related company of Shanghai Bailian. It was launched in 1991 and it mainly operates hypermarkets, supermarkets, and convenience stores. By December 31, 2016, Lianhua Supermarket and its subsidiaries had a total of 3,618 stores, covering 19 provinces and municipalities in China. In February 2017, Alibaba Group and Bailian Group announced a strategic cooperation in Shanghai. The two parties said that based on big data and Internet technologies, they would seek full cooperation in six sectors, including full business integration and innovation, new retail technology development, high-efficiency supply chain integration, membership system interoperation, payment and finance interconnection, and logistics system collaboration. However, they did not mention capital cooperation at that time. Alibaba Group said that they will rebuild new retail smart stores with big data in the future to improve consumer experience and business operation efficiency. At present, the two parties are discussing specific plans for their supermarket business cooperation. 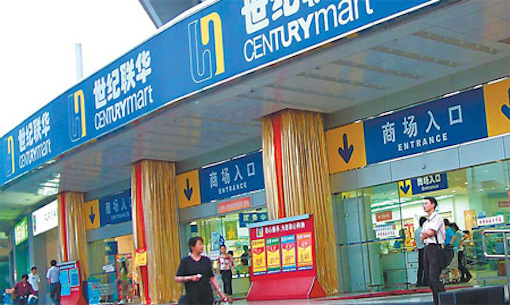 Lianhua Supermarket's 3,618 stores around China are expected to be the first to have new retail distribution and transformation.